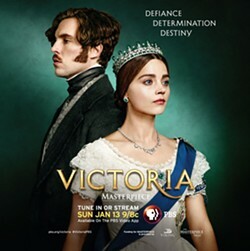 The Minor Theater in Arcata is partnering with PBS North Coast to present a FREE premiere of Victoria, Season 3, episode 1 on the big screen. Please reserve your seat(s) by calling 707-445-0813. As Season 3 gets underway, Victoria is pregnant with her sixth child. But she has much else on her mind, chiefly the Revolutions of 1848, when the downtrodden throughout Europe begin agitating for the overthrow of aristocratic rule. We invite you to watch this first hour of the new season. PBS North Coast-Inspire, Empower, Connect.